From Mammoth Lakes: Drive south to Hot Creek Road, turn east and go to the Hot Creek Geological Site. 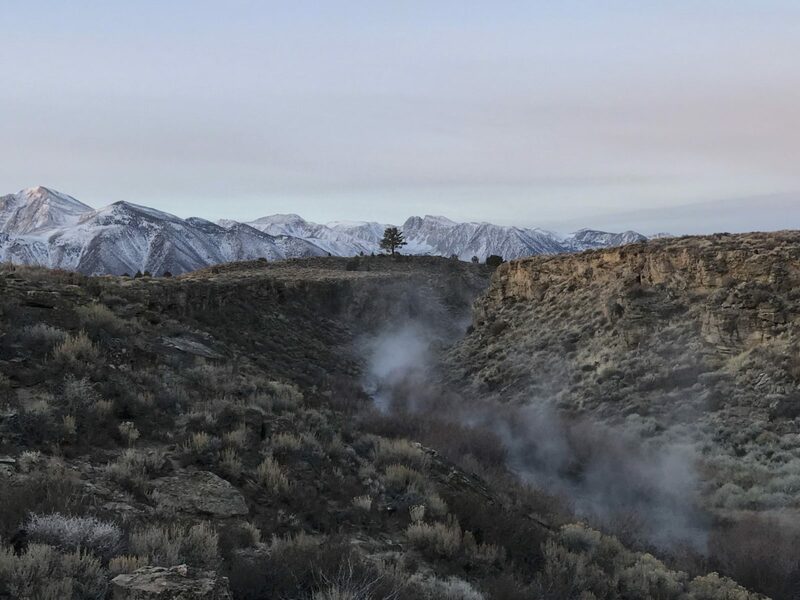 Early morning is the best time to see the mist rising from Hot Creek fed by the natural hot springs. The winter is the best time to see the most dramatic mist or steam rising!